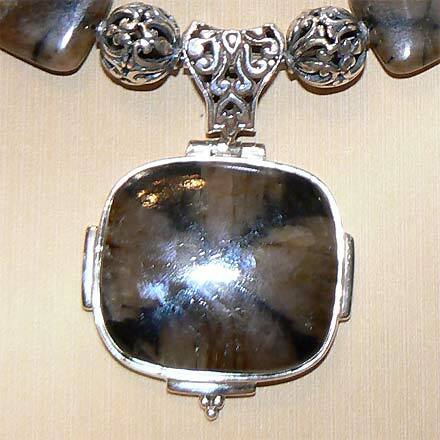 Chiastolite necklace and close-up of necklace. Chiastolite, also commonly known as Cross Stone or Fairy Stone, is Andalusite with Carbon Crystals that form in the shape of an X or cross when the stone is cut in the right way. 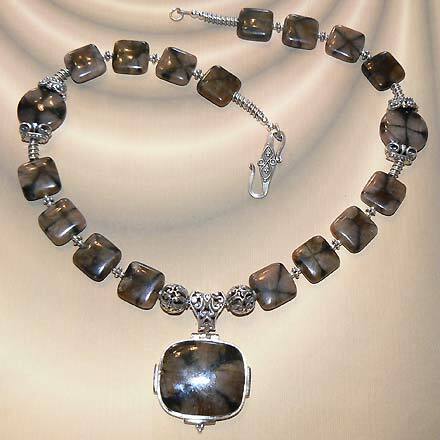 For those who are interested in Astrological significances of stones, Chiastolite may possibly be associated with Aquarius.